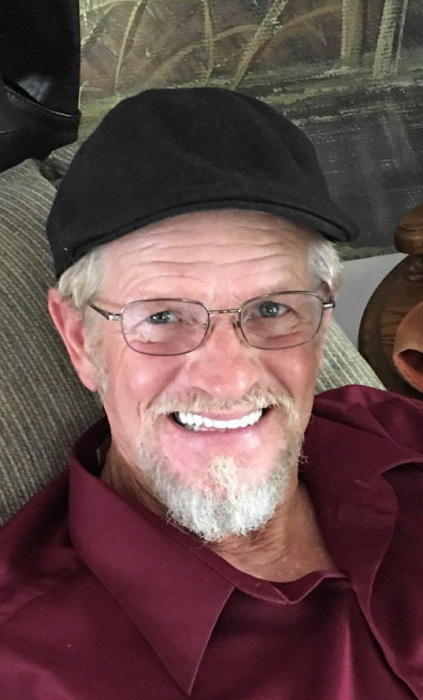 Lyndle Wayne Parks, 62, of Carthage, IL passed away at 10:05 p.m. Monday (January 21, 2019) in his home. Born December 10, 1956 in Hannibal, Missouri. Lyndle was the son of Edward and Norma Jean Brown Parks. He married Deborah "Debbie" Drake on May 11, 2002 in Beaufort, SC. She survives. Lyndle was employed as a bridge builder for over 20 years for the Godberson Smith Construction Company in Ida Grove, IA. After working and moving in a few different states, the past 5 years he traveled all over Iowa doing what he loved. He and his wife Debbie traveled all over the United States in their RV going to where his work would take him. He loved each and everyone of his co-workers, some more than others. Lyndle was a Ham Radio Operator with his call letters being KBONCS (No Common Sense). He spent many hours on his Ham Radio and loved to ride his Harley-Davidson Motorcycle. Survivors include his wife Deborah "Debbie" of Carthage, IL; his father Edward Parks of Mexico, MO; one son Eric Parks (Christina Twitchell) of Mexico, MO; two step sons Blake Henry (Jennifer) of Golden, IL and Brett Henry (Amy) of Fulton, MO; three step daughters Candy Burge (Tony) of Anderson, MO, Dixie Griffin (Junior) of Goodman, MO and Stephanie Graham of Pineville, MO; four grandchildren Austin Parks and Chance Parks both of Mexico, MO and Reid Henry and Khyleigh Henry both of Golden, IL. Also surviving are two brothers Lynn Parks (Janell) of Palmyra, MO and Larry Parks of Laddonia, MO; one sister Lana Walkley (Dale) of Frankford, MO; a special niece Toni Evans (Kyle) of Center, MO and many other children and great grandchildren and loving nieces and nephews. Mr. Parks was preceded in death by his mother Norma Jean and one brother Lowell Parks. Memorial services will held Saturday morning (February 2, 2019) 11:00 a.m. in the Zehender Robinson Stormer Cookson Funeral Home with Pastor Brian Meranda officiating. Visitation will be held Saturday morning (February 2, 2019) 10:00 a.m. until the time of services at the funeral home. Memorials may be made to the Unity Point Hospice.